I can finally take care of “building” my village. This year many days ran together, during the course of many weeks I lost at least one day every time and wondering where did my time go. How did I manage that? This year has been a real lesson for me and I will take care of my busyness at the beginning of next year, but now it is time to think of my Christmas village. Years ago, I fell in love with hand painted houses representing Charles Dickens’s village. 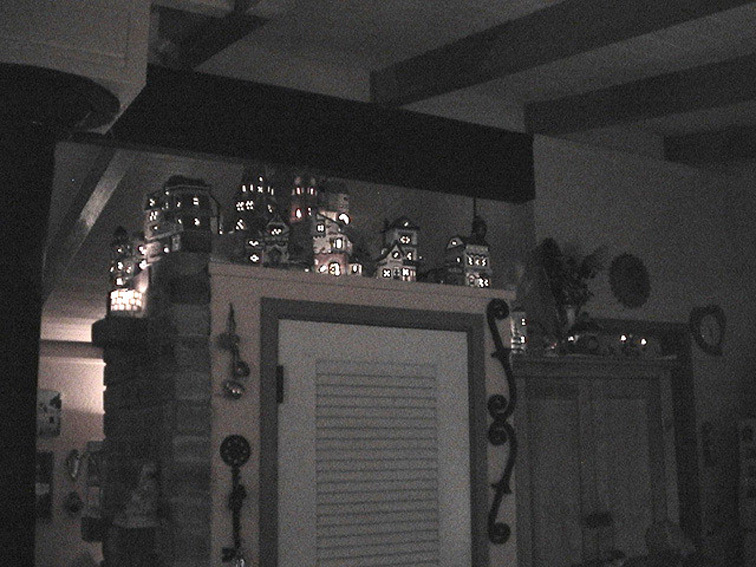 I was new in USA, seeing Christmas villages in stores were new thing for me, just as everything else was. I started to collect as many little houses I could until one day I had no more place to store them and stopped the collection. The village I build for Christmas every year is my fantasy, not a real village. The style of architecture does represent Victorian England of early 1800s, the small statues of people are dressed in Victorian fashion, so darling, but everything else is a fantasy. I have a theatre for plays, comedies and ballet performances, the Opera House is grand. 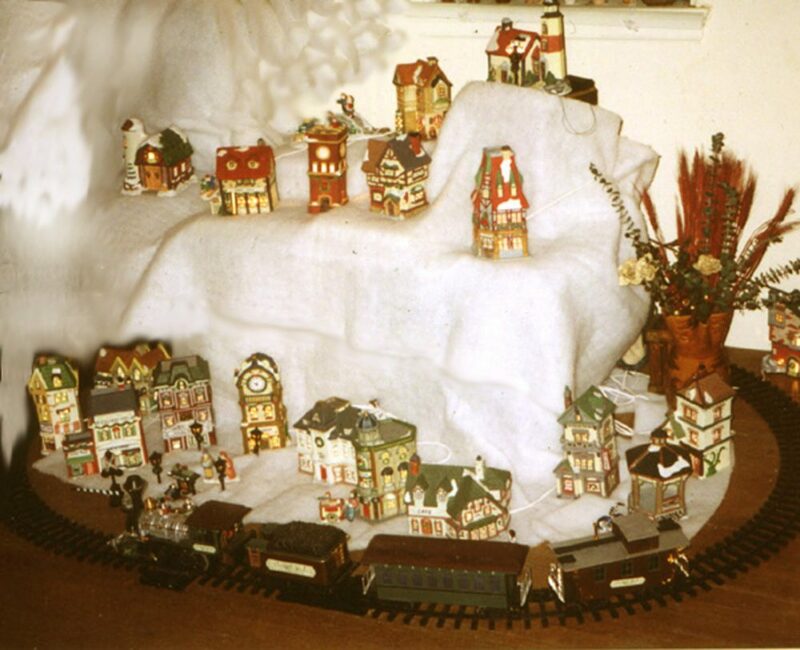 I have many pubs and restaurants, hotels, various shoppes, antique stores, a seamstress’s house, playgrounds for kids, the light house and a barn, an ice skate ring with moving people (battery operated), a few library buildings, a train station with a sound of a train coming and a real moving train, a battery operated toy. In my village there is no police station, no hospital, no government buildings and no schools. Hey, this is my village and in my fantasy we all learn from each other, we are all good to each others and help one another. It takes many hours to put the village up, string all the lights inside the small houses, creating attractive streets and passages over bridges and gardens, arrange the houses to design an inviting village with the main drag with all the fashionable stores just as if I were a certified city planner. I like to place street benches next to cozy corners or views, kids and carriages in the right spots and attach all the sounds to make the village come alive. I like to keep all the lights and sounds turned on all day, but at night it becomes magic. The lay out of my village varies every year, streets and things to do are never the same and I amaze myself how many solutions I can create. It’s playtime! I leave the rest of the room in suffuse lighting to allow the village to be on stage, when is completed it is quite beautiful. December is the only time of the year I can live almost in history, I get to step back in time to experience a much simpler and slower life even though is only in my fantasy and through toys. Perhaps during Charles Dickens’s time they said the same thing about a slower living style before the 1800s. In a separate area of the room, away from the village display, I don’t miss to set up a spirituality corner with my little manger made in Germany by wood workers artists who are still designing small items all by hands and some angels made of Venetian glass made in Murano. LED light strings and candles everywhere illuminate the rest of the house. The custom of turning on shiny, bright and colored lights in December comes from the burning the “Yule Log” in Germany, a medieval pagan festival that occurred every December to celebrate the winter Solstice and the short dark days of winter. The burning of the Yule Log was a way to welcome light, the return of the sun and it represented Jesus as the light of the world. 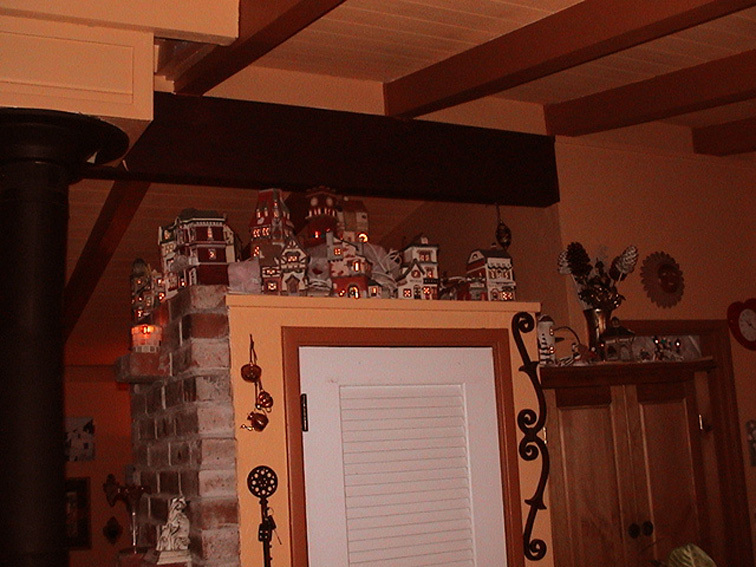 However I want to look at it, I am one of the few people who decorate Christmas in a different way. The important thing is to celebrate a new light that will take the darkness of the winter away from our life and project us into the New Year with a renewed spirituality and new goals toward the humanity and ourselves. I hope you will come up with your own different display too and please remember I am always ready to decorate and design with you. 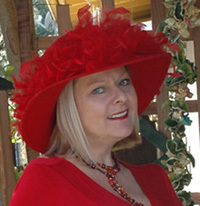 Valentina Cirasola is an Italian Interior and Fashion Designer, working in the USA and Europe. She blends fashion and interior well in any of her design work. She loves to remodel homes and loves to create the unusual. She is the author of the forthcoming book on the subject of Colors entitled ©RED-A Voyage Into Colors, due to be published very soon.